My Love of Weymouth and Portland’s History. 1873; Weymouth, violence in the classroom. For children, life at school can be pretty rough and tough. Even during the Victorian period, with their propensity for strict discipline, the class room wasn’t always the safest place to be. In December of 1879, at the Borough petty sessions a case was brought before the three officials of the court, Mr W Talbot, Dr Drew and Mr B Hopkins, of an assault in the local classroom. 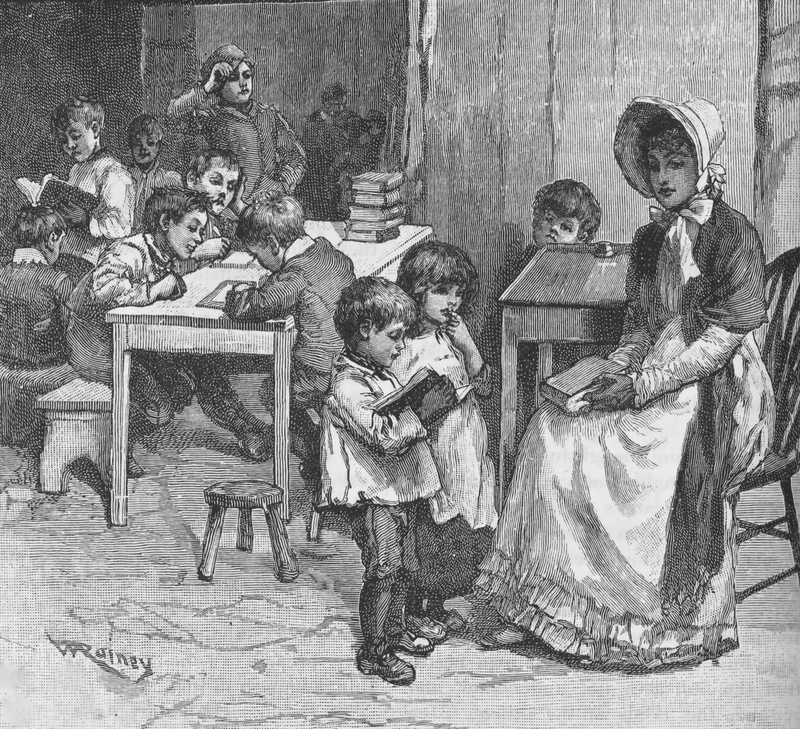 On Friday the 15th December 1873, the young children were busy at their work in the class at St Mary’s school (which was closed in 1982), the old Victorian red brick school building used to be in School street, where the Citizens advice building now stands. One of the children attending school that day was little Susan Pavey, as was 7 year-old Charlotte Paul. 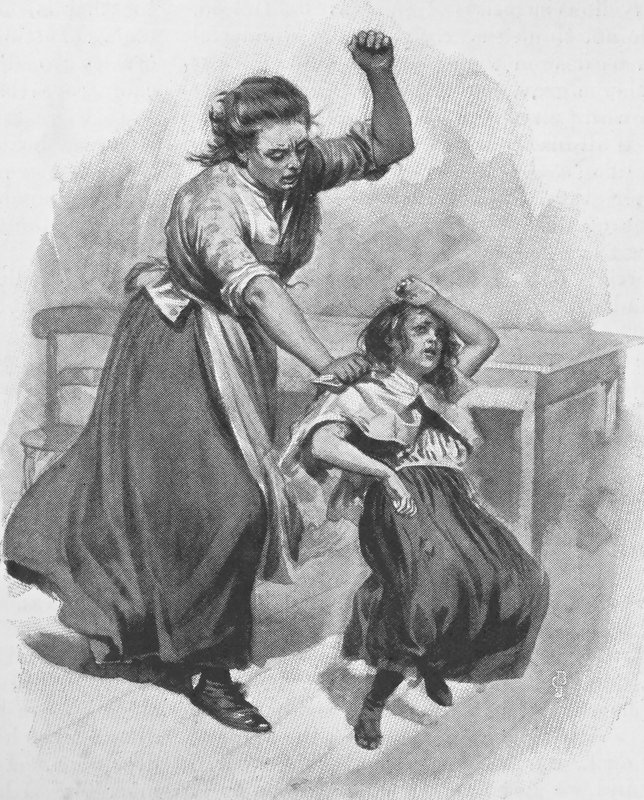 During the school day, some sort of incident happened in the classroom which resulted in young Charlottes face being hurt, making it bleed. Not long after the accident, the classroom door was flung open, and to the teacher’s amazement, in to the room marched a very irate parent! The incident might have ended there but for the fact that Susan’s father, Benjamin Pavey not surprisingly took great exception to his young daughter being battered like that. Once he’d come home from work and heard what had happened that day, Benjamin marched straight round to the Paul’s humble dwelling in Albert cottages ( a terrace of 4 small cottages that once stood where Wilkinsons now trades), hammering on the front door. Sophia answered, and according to her, faced a torrent of abuse from the irate father. He demanaded to know where her husband was, saying that he couldn’t “take it out of her,” but her husband was going to pay for her sharp temper. No one treats his little girl like that and gets away with it. That was Sophia’s version of events!…she claimed that she was so afraid of the enraged father that she ran into the shared kitchen and locked herself in, fearing for her very life. So here they were, both adults stood before the courts, Sophia charged with assault on little Susan, and Benjamin charged with using abusive language towards Sophia. Having heard all the evidence, the wisdom of the court decided that Pavey’s account of the days events was the more likely of the two…. Benjamin was found not guilty, but Sophia was charged 1s and costs for her fiery temper. Writing a book, blog, short stories or your own family history, then why not make them jump off the page, bring them to life with historical graphics. Check out my Etsy site for Victorian illustrations, many more, including local ones being added all the time from my own personal collection. Previous Post 1834; Weymouth’s Grand Park. Sophia Paul was the wife of my 2nd cousin 3 times removed!! How interesting to read the story. Thanks for posting. Interesting reading…I’m related to the Pauls and Paveys on my maternal grandmother’s side! When Andromeda and the Naval Fleet went Walkabouts from Weymouth. August 1899. Granfer Henry Reads the News; Every Day Lives in Weymouth; 1884.